How do I protect my items with WD-40®? 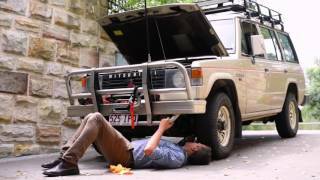 How to use WD-40® to penetrate and loosen rusted parts? Why won’t my can of WD-40® Spray? 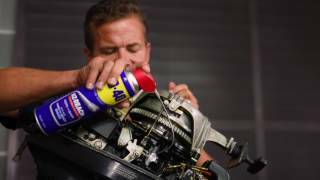 How does WD-40® remove and drive out moisture? How to spray two ways with WD-40® Smart Straw®. 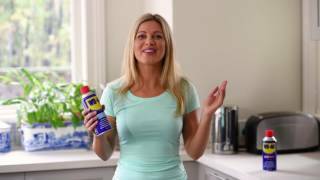 Quick and easy tips for using WD-40® in the home. How to use WD-40® Specialist® White Lithium Grease for long term protection and lubrication. How to use WD-40® Specialist® Dry PTFE Lubricant. What is PTFE? How to use WD-40® Specialist® Wet PTFE Lubricant. WD-40® Specialist® High Performance Silicone Lubricant for Metal and Non-Metal Surfaces. How to clean your electronics with WD-40® Specialist® Fast Drying Contact Cleaner. How to Quickly Clean Machinery, Engines and Equipment with WD-40® Specialist® Fast Acting Degreaser. How to use WD-40® Specialist® Brake & Metal Parts Cleaner. How to maintain your power tools & equipment with WD-40® Specialist® Lawn & Garden. How to clean, lubricate and protect garden hand tools with WD-40® Specialist® Lawn & Garden. Many of the uses WD-40® Multi-Use Product and WD-40® Specialist® products described on this website were provided to WD-40 Company by end-users of the products, and do not constitute recommendations or suggestions for use by WD-40 Company. These uses have not been tested by WD-40 Company. Consumers should exercise common sense whenever using WD-40 Company products. Always follow the instructions and take heed of any warnings printed on packaging. © WD-40 COMPANY. ALL RIGHTS RESERVED. Available in the Power Gardening aisle at all Bunnings stores throughout Australia. For more information about the range click here. Want to become a WD-40 BIKE reseller? Click here.